A taxi advertising campaign with London Taxi Advertising is the perfect platform for promoting your products, services or brand. A major international commercial centre, Birmingham boasts a GDP of £81.17 billion. Advertising within this city can see your brand reach business people and influencers from across a range of key industries. 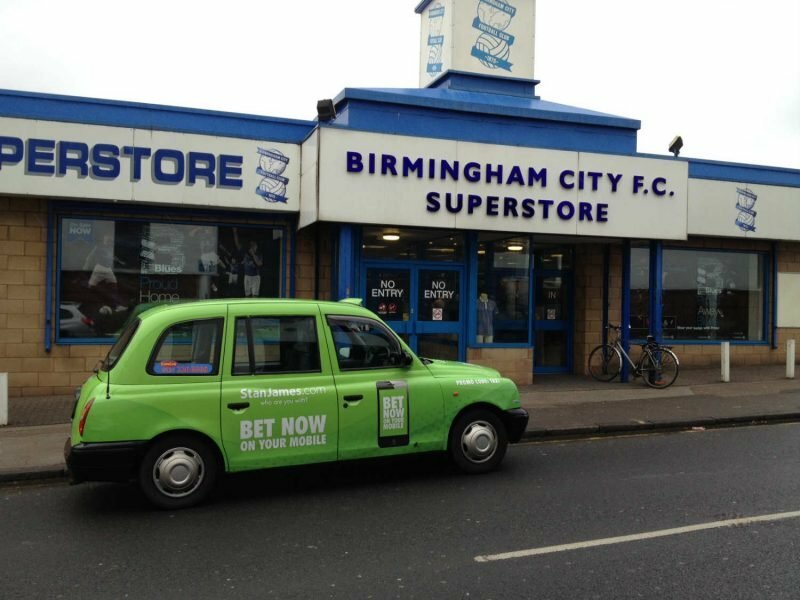 For those looking to target a younger audience, there are over 65,000 students in Birmingham, with taxis travelling the length and breadth of the city showcasing your message. Birmingham has enjoyed significant regeneration in recent years, with the redevelopment of the Bullring Shopping Centre and New Street Station ensuring the city’s leisure and tourism offering competes with the rest of the UK. The population has increased by 10% in just 14 years, with Birmingham now one of the most multicultural cities in the United Kingdom, home to residents of a variety of ethnicities and backgrounds. Taxi advertising in Birmingham offers a unique opportunity to target a diverse demographic. With a range of interior and exterior advertising formats available, and with the chance to target tourists, influential professionals and millennials, LTA can help to drive your brand to success with a Birmingham black cab advertising campaign.